To love Morrissey is to occasionally hate him. No pop star in history has stirred such conflicted emotions in his millions of fans based on his extra-musical relentless diatribe. 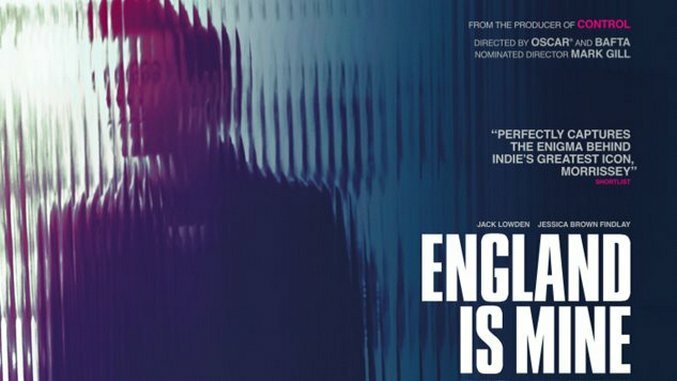 By the looks of the upcoming Moz biopic England Is Mine (which is out now in the U.K. and hits U.S. theaters on Aug. 25), it seems easy to remember the former Smiths singer as the precocious Northern boy with big dreams and an even bigger vocabulary. But while writer-director Mark Gill is keen on portraying the artist as boyish and meek Steven Patrick, the rest of us are stuck with the man known as Morrissey—the man of a million insults, a thousand enemies, and the biggest mouth in showbiz. To celebrate our love-hate relationship with The Pope Of Mope, here are eight of Moz’s most ridiculous big mouth moments. Morrissey is infamous for his vegan lifestyle and animal rights activism, so much so that in 2016 the Animal Welfare Party invited him to run as a London Mayoral candidate. Clearly nothing has come of Mozzer’s brief flirtation with politics, and this might be a good thing considering his fanatical demonizing of meat eaters. The singer has been known to demand that venues go vegan for the nights he plays them (although they often do not), and has no shortage of vile things to say to people who challenge his meat-free ways. At Coachella in 2009, Morrissey walked off stage halfway through his set claiming, “The smell of burning animals is making me sick. I can smell burning flesh…and I hope to God it’s human.” It seems that Moz only finds animal meat to be murder. Only an infamous curmudgeon like Morrissey could make such a claim. The thought that a performer (who doesn’t even write his own music) could imply that dance music mavens like, say, Daft Punk, Giorgio Moroder and Air are “dull people” is ludicrous. Perhaps had the singer gone into specifics, citing Bananarama as the culprit of dullness, we would understand. Instead he has lumped everything from ABBA to Ace Of Base to Larry Levan into one big, amorphous “dance” category. Come on, Moz. According to Collins English Dictionary, a whingebag is, “someone who constantly complains about everything or anything, and maybe as annoying as rustling a plastic bag in an ear for a few hours,” which, we’ll admit, does sound a bit familiar. Morrissey has countless bizarre and hyper-specific enemies and he seems to foist enormous and undeserved accountability upon them all. Take, for instance, celebrity chef Jamie Oliver, whom Moz has claimed is all three of the “three things wrong with modern England; But that was just one of Mozzer’s attacks on “Jamie ‘Orrible.” The most heinous of his outbursts might be when the artist suggested Oliver partake in cannibalism and filicide. While many were shocked by this statement, you need look no further than songs like “The National Front Disco,” “Bengali In Platforms,” and “This Is Not Your Country” to see Moz’s xenophobic seeds sprouting. In an interview with poet (and self-proclaimed Smiths fanatic) Simon Armitage, The Pope of Mope went lower than he ever had before. “Did you see the thing on the news about their treatment of animals and animal welfare?” he asked Armitage. “Absolutely horrific,” he continued. “You can’t help but feel that the Chinese are a subspecies.” Morrissey has yet to retract or apologize for this ghastly comment, but what would you expect from such a big mouth?